When it comes to energy efficiency, insulation is one of the key ways that you can lower the costs of heating and cooling your home. Poor insulation is a leading factor in creating drafts and reducing the efficiency of your heating and cooling systems. To ensure that your home is prepared for the heat of summer and frigid winter temperatures, you need to make sure that it is properly insulated. Here are four signs that will help you determine if you need insulation. If ice develops on one portion of your room and not in other locations, it could indicate that your house is not well insulated. There may be some rooms that are not as insulated as others, or the entire house may be lacking in insulation. Likewise, “hot spots” where the snow melts are areas where the insulation is allowing too much heat to escape. When checking your home, look for patches of ice, hot spots and icicles. When you have a window or door open, you expect there to be a breeze blowing through your home. If every window or door is closed, then a draft is a sign that you have an issue. To start with, make sure that all of the windows and doors have strong, intact seals. If you have already replaced the windows, then you most likely need more insulation. Your current insulation is not blocking the wind from permeating your walls, so your home is colder and windier than it ought to be. In addition, you should look for gaps and holes in the structure of the house. Recessed lighting, attics and windows can allow as much air to leak into the home as an open window, so you need to make sure that these gaps are protected from letting in drafts. It is normal for insulation to become less effective over time. One of the easiest ways to spot the change is by looking at your electricity bills between each year. Since the price of electricity varies, look at the number of kilowatts used. If you suddenly start using more kilowatts of electricity and have not changed your normal living habits, then your insulation could be at fault. 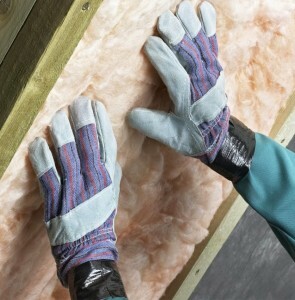 For more information about insulation, contact USI online to get a free quote. USI believes that excellence in every step of the process and ensures timely completion and quality of service, time after time. How to Tell If You Need Insulation?